In golf, there are the “haves” and the “have-nots.” The “haves” are blessed with an uncanny ability to achieve the perfect plane through the impact zone, regardless of what occurred before it. 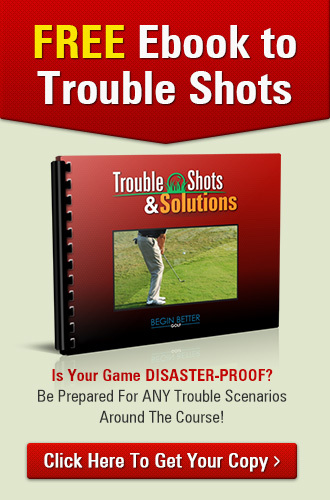 Indeed, the ability to “get it all right” on the way down is a puzzle very few golfers have been able to solve. As you swing to the top, retaining width is an absolute must. As you complete your takeaway, brushing your clubhead away from the golf ball, “stretch” to the top of the backswing. In other words, use your shoulders to complete your turning motion so that the muscles on the left side of your torso (for a right-handed golfer) are taut and loaded. Now you’re wide. Of course, the downswing is an up-and-down motion as much as it is an around motion. Therefore, as you turn your shoulders, your hands and arms should lift the club skyward. Be careful here. If you focus on simply lifting your club upward, you’ll lose width. The key is to maintain the width between your body and hands that you established at address throughout the backswing. 1. NARROW SWING ARC:If you take the club back too far inside the target line or with your hands and arms only, the result will be a narrow swing arc and reduced speed. 2. LOSS OF KNEE FLEX: Straightening your right knee during the backswing can lead to shifting too far away from the target. From there, it’s very hard to move toward the target effectively when you swing down. 3. POOR WEIGHT SHIFT: Even if you shift your weight properly during the backswing, you still have to move forward aggressively on the downswing. Get off that right side!